This is an NOS that was never sold, from a 1988-89 run of 500 guitars. One of the very first FCS runs. This one is #497. H.L.E. 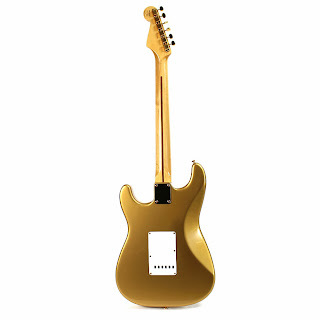 stands for Haynes Limited Edition, stemming back to a 1957 run of tri-color gold Strats designed by Homer Haynes. 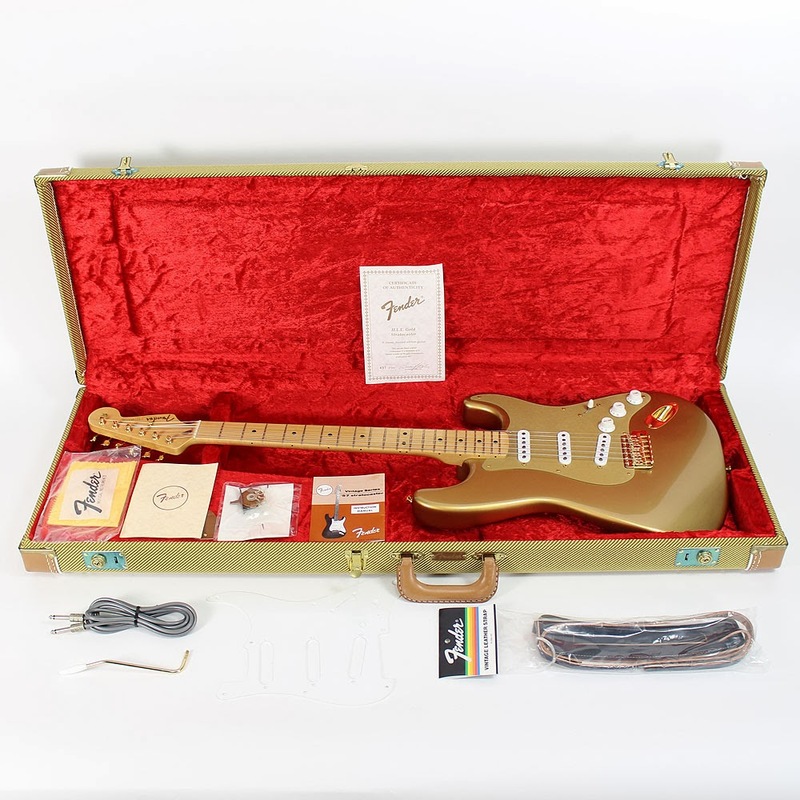 Currently listed by FCS dealer Warpdrive Music aka Cream City Music of Brookfield, WI this guitar includes all case candy, COA, OHSC and original shipping carton. These guitars include 2 pickguards (anodized and white), and are spec'd per '57 with those body contours and a "V" neck. 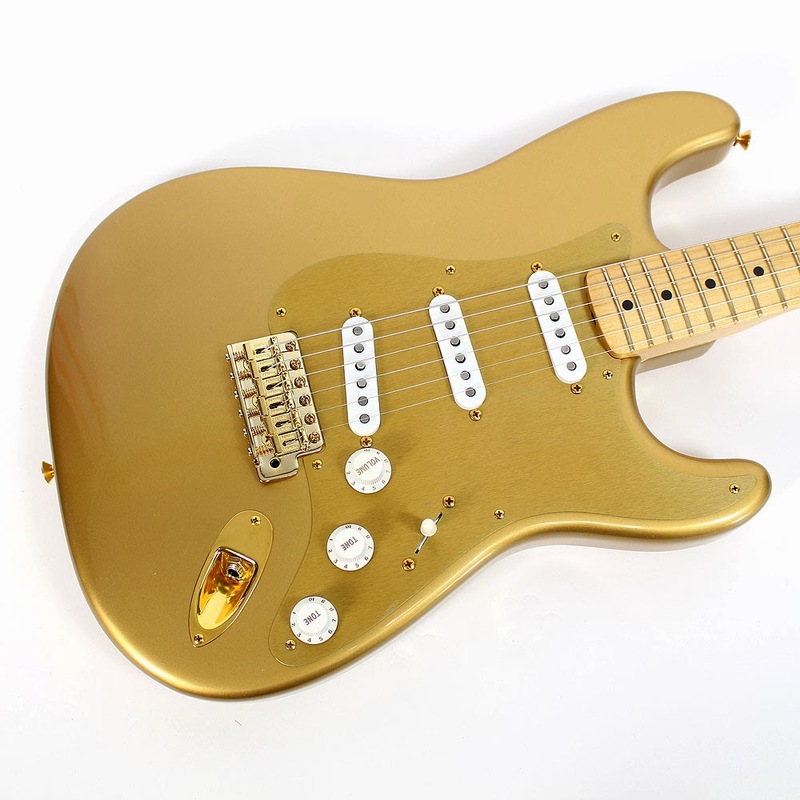 The dealer says this one is in "pristine condition" aside from some finish checking. Basically, it's been in the case & carton for 25 years. 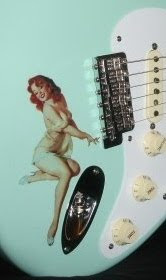 Plastic film still on pickguards.